This is the street corner sign that is right front of my house. 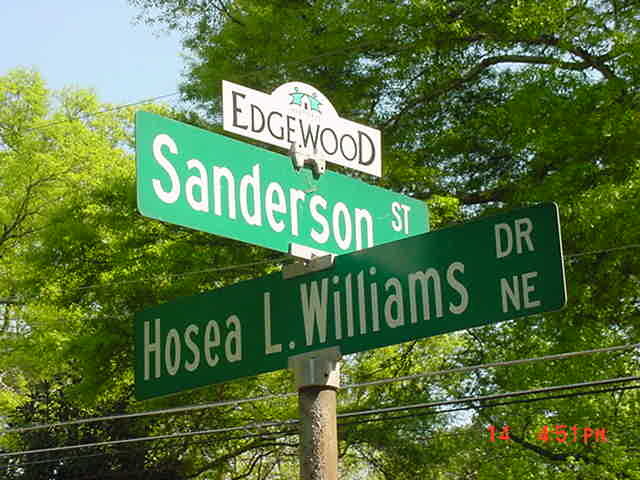 I live on Hosea L. Williams Drive in the Edgewood (Little 5 Points) section of Atlanta. Click the Pic to continue!